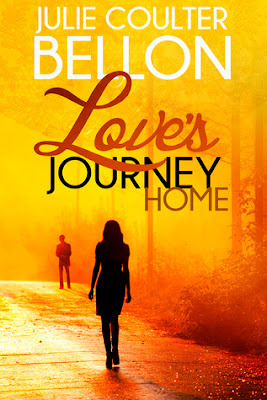 It's always a happy day when I get to read a new book by Julie Coulter Bellon! She first hooked me with her military suspense books- which I absolutely love. Now she's made a jump to straight up romance and I find it interesting that she's done it with no suspense or nail biting whatsoever. I kept waiting for the proverbial ball to drop with this story- the big blow up, the major hurdle but nothing happened. This was a sweet story from the beginning with no razzle or fluff. It felt very realistic and I never doubted for a minute that everything that happened in this book could happen just this way in real life. Olivia and Mick meet, are attracted and follow up on those feelings. There are some minor glitches in communication while the couple finds their footing, especially in the trust department, but that is all completely normal. Mick has a rough personal history that he guards well, but trust comes eventually. Olivia and Mick are both great characters and easy to like. I loved the added element of foster parenting. There are so many good people out there, providing love and homes for so many children who need them. I know a few personally and they really are the best sort of people. This book brought out a bit of the bad that sometimes accompanies this, but mostly the good. This book was enjoyable, easy reading. It made me happy.